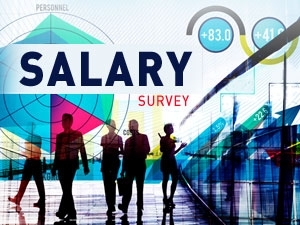 Salaries earned by SA's tech professionals have again seen double-digit year-on-year growth, according to the 2016 ITWeb/CareerWeb Salary Survey. On average, the salaries reported by the 2016 sample of respondents are 15% up when compared to 2015, which in turn saw an 8% increase on 2014. In the C-suite, CIO and group IT director salaries are eclipsed by those earned by CFOs, who increasingly play a role in technology decision-making. Business applications is now the highest-paid mid-management role, while software architects top the staff-level ranks. The survey respondent base reflects a changing gender ratio in the industry – after more than a decade of sitting at about 20%, female representation shot up to 32% in 2016. However, this means there were more female respondents at the entry level, which reversed the trend seen in the past two years, when salaries reported by female participants were fast catching up to the male respondent base. But in 2016, the gap widened again, with an average 18% increase in salaries for men, versus a 12% increase year-on-year for women. According to the survey's partner, remuneration consultancy Emergence Growth, this can be attributed to more males in the sample operating at middle and senior management level. In two provinces, the Free State and Eastern Cape, women are leading the pack, though. This trend should start impacting other provinces, with more females entering the IT sector with higher qualifications, notes Emergence Growth. Only 18% of the permanently employed respondents said they did not receive a salary increase in the previous 12 months. Of the 82% fortunate ones who did, only 27% said it was above the inflation level. The highest average package at executive level is earned by chief financial officers (R1.3 million), who play an important role in technology investment decisions and are included in the survey for that reason. However, the highest paid IT executives are, of course, group IT directors and CIOs (R1.17 million). The survey revealed significant changes in the salaries of sales directors, CTOs and group IT directors compared to 2015, with an average increase of 15.6%, equating to approximately 14% higher than the salaries reported by other directors. However, CIO, CSO and COO average salaries reported are only marginally higher than last year. The survey's new category of head of business applications and the legacy one of enterprise architect, lead the field in remuneration at mid-management level, earning on average R965 000 and R958 000 respectively. This finding illustrates business is clearly seeing applications as the future, but understands it must fit into a well-designed architecture. The role of enterprise architect/chief architect had a significant increase of 22% year-on-year (YOY) and is paid 13% more than the next highest paid role – head of business intelligence. "Architecture and applications are still the most important bedrock of organisations. Without architecture, nothing can be organised; without applications, nothing can get done," comments ITWeb senior writer Paul Furber. For those who don't have management ambitions, the best job to be in is that of architect – be it software, data, or system architect. All three feature in the top four highest paid IT staffers, with packages ranging from R875 000 (software architects) to R742 000 (system architects). They are joined by e-commerce specialists, with the second best average salary of R789 000, but it must be noted there were only three of these in this sample. Looking at how salaries depend on respondents' technical platform expertise, the results illustrate skills that are in short supply in SA are becoming skills that businesses are prepared to pay a premium for, according to recruitment specialist Communicate Personnel. "There are some technologies that have truly massive jumps in demand for skills, judging by the average increases in salary: C, Adabas, IMS, EMC and Oracle Data Warehousing skills are being rewarded considerably more on average than in 2015," notes Furber. Those who work with Cold Fusion and IBM MQSeries command the highest salaries, with Cold Fusion specialists' average salary being a whopping 79% higher than that reported by last year's sample. "This can be attributed to having a very limited number of individuals working on the platform, made up of individuals at middle and senior management level," comments Emergence Growth. As for software language proficiency, top paid languages are C#, Java, C++ and C, all of which earn an average of over R630 000. The most significant increases in salary were reported by PHP and C developers, with an average increase of 43% YOY. "We find these results indicative of the trends. There is a growing need for good PHP developers, as applications are becoming more interactive," notes Communicate Personnel. When it comes to the respondent's primary area of expertise, the results are dominated by strategy and high-level integration experts – those with IT strategy, architecture, ERP and digital strategy in their titles are paid more than anyone else. Enterprise architecture/SOA (R932 370) and IT strategy (R925 537) lead the pack by approximately 14% as highest paid areas of expertise, followed by enterprise application integration at R814 500. More than half of the IT professionals surveyed believe their salary is market-related, while one-third believe their skills are not adequately rewarded. As usual, those who earn the highest averages report they are well aware their packages are above the industry averages. The 16th annual ITWeb/CareerWeb IT Salary Survey captured a total of 3 550 valid responses from permanently employed IT professionals. It was conducted in partnership with remuneration specialist Emergence Growth and ran on ITWeb's Web site for a period of four weeks earlier this year. Of those who took part, 32% were female, and 68% male. They included C-level executives, business managers, consultants, IT practitioners and developers from around the country, ranging in age from 20 to over 50, and from organisations with under 10 people, to enterprise giants with over 5 000 staff. As this was an online opt-in survey, the sample was not controlled. The results report is meant to serve as a guideline for local ICT salary trends. The figures reported in this survey are total annual cost to company packages. View the complete results in table and graph format.